The Moon Travel System from Ickle Bubba makes the perfect companion to accompany your child from an infant to a toddler. 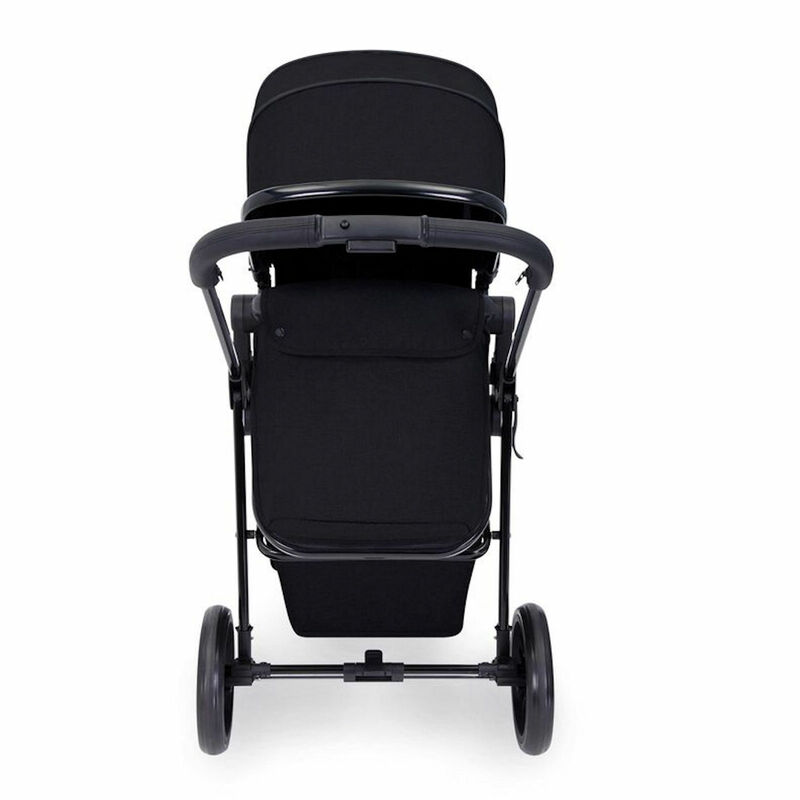 Right from birth, the Moon can be used with the carrycot mode attached to the lightweight aluminum chassis. As your little one grows the carrycot can be cleverly transformed into a seat unit (6 months+) and can be made to be either forward facing or parent facing depending on your parental requirements. 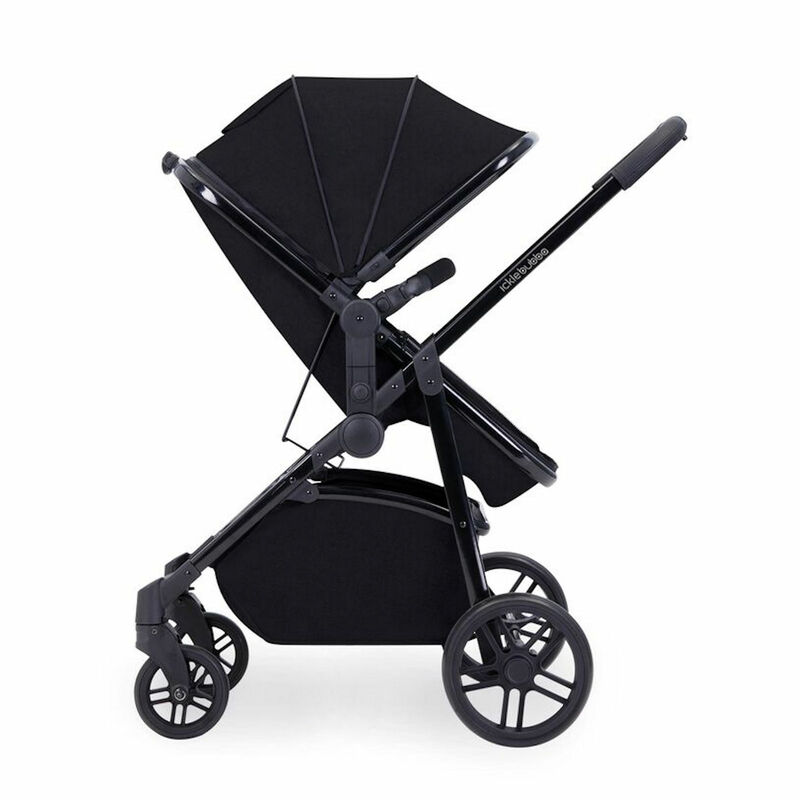 At just 6kg and with all round suspension the Moon is ultra-lightweight and offers a smooth ride when out and about with your child. 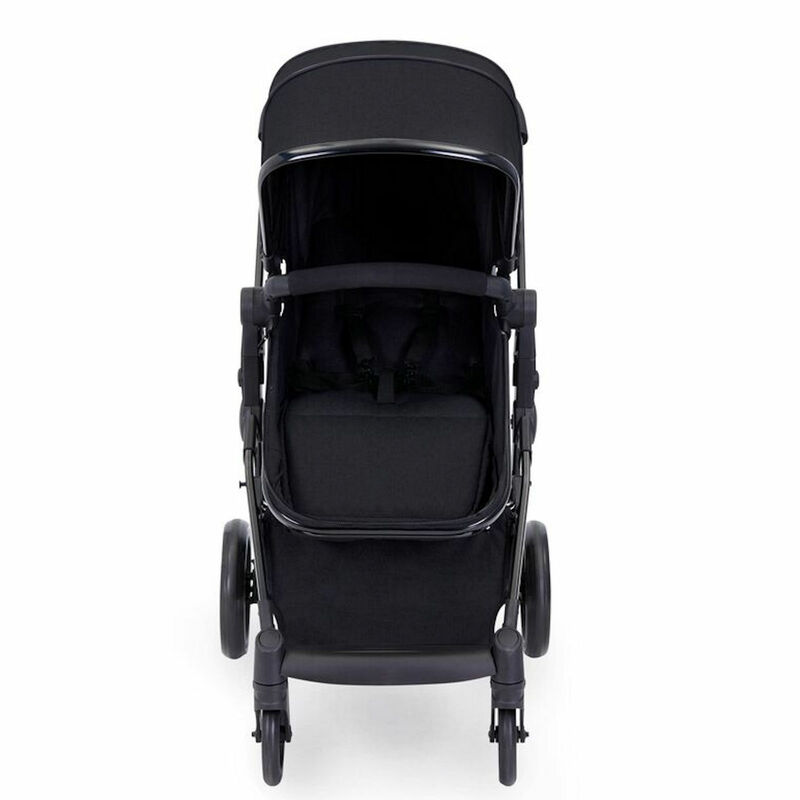 Featuring a 3-position seat recline, bumper bar, large extendable hood and a quick one hand folding mechanism without the need of moving the seat unit, this pushchair is perfect for families on the go. With its stylish leatherette tan handles and carrycot apron / pushchair boot cover the Moon ensures your little one travels in comfort and style. 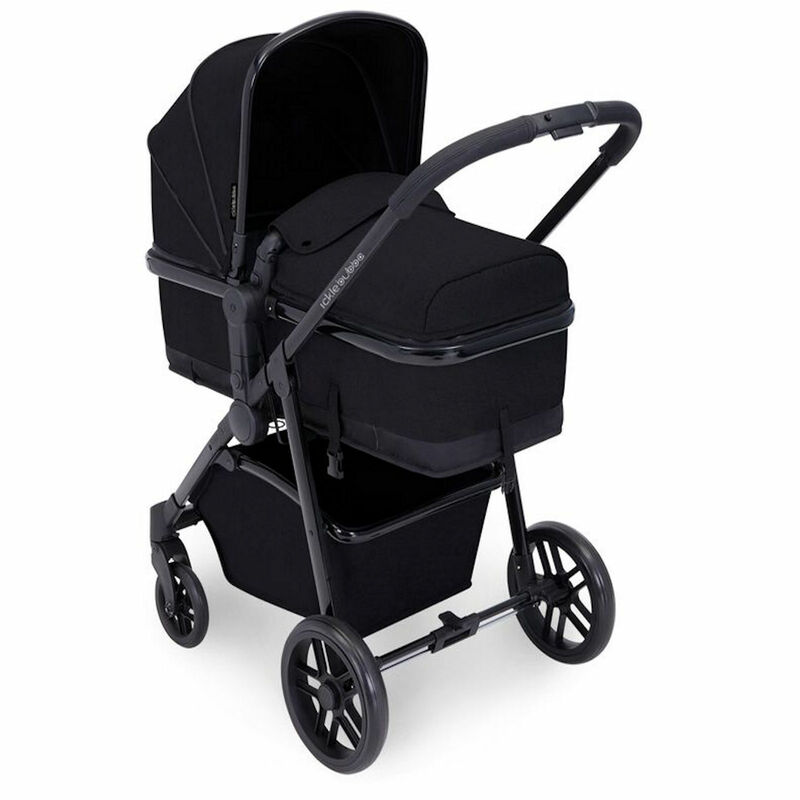 The Included Galaxy Group 0+ Car seat easily transforms your pushchair into a travel system. Suitable from birth to 13 kgs (approximately 12-15 months) the car seat comes complete with double layered side impact protection and a 5 position adjustable headrest that supports the head and neck of your child as they grow older.